Dobby Is So Polite, What A Delight is the latest children’s book from the friendship series. It is a rhyming children’s book about how a caring brother brings home a special friend called Dobby for his sister. Dobby, is a blue heeler Australian Cattle Dog puppy, who is loving, energetic and was placed in a dog shelter. He is very sad as he is all alone and is stuck in a smelly cage. One day he is hoping that he will meet a new buddy and be able to run free and play Frisbee. So he is so excited when he meets his new friends. He is also introduced to Baloo, who is an older dog from The Netherlands that teaches Dobby manners and how to behave in and out of the house. 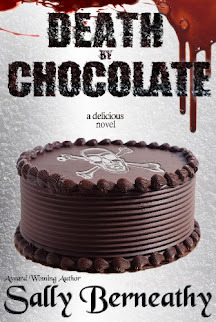 This is a book about friendship, love and how to fit in with others. Dobby settles in very well with his wonderful family. But he has one habit that he finds hard to stop. Can you guess what it might be? This book comes with music and lyrics. Music is a form of expression and it is wonderful for children to freely explore the world around them through sound. Children are naturally creative and love to explore everything new and amazing. Most young children love to sing, dance and make music. This children’s book has vibrant eye-catching colorful illustrations, which help children visualize the story. Color is a dynamic stimulation and plays a very important role in learning, as research has shown that 50-60 percent of our brain is used for seeing. Dobby is a fun loving, friend dog, and loves to play Frisbee with his new friend. He also is learning to have wonderful manners and even knows how to cross the road at the traffic lights. 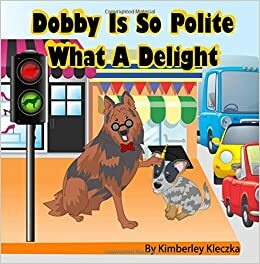 Dobby Is So Polite What A Delight is entertaining and is perfect for pre-schoolers at bedtime as well as a self-read book for older children. It is also a great rhyming book for toddlers and a perfect early reader book. Rhyming teaches children who are learning to read about the patterns and structures in both spoken and written words. Rhyming and songs expose children to the rhythm of language, which helps them read with some animation in their voice instead of just a monotone voice. Rhyming also helps children learn about word families such as sun and fun, or flight and night and so on. For instance, if your child is learning to spell, if they can spell shy, they can spell guy and if they can spell paws they can spell laws. Have you ever seen kids sitting and happily listening to someone reading in a monotone voice? I haven’t. If you want to hold a child’s attention, read with inflection and animation, and they will sit glued to your voice. Rhyming and rhythm are very important skills that help a young reader learn to use inflection an animation when reading aloud. Rhyming also prepares kids to make predictions while learning words and gives them crucial interpreting skills. As well as Phonemic awareness which helps with the beginning of their written language.